Intellectual property protection in China remains a major concern for foreign businesses and a key target for establishment reforms. 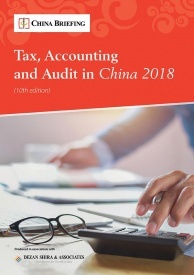 In March 2018, the National People’s Congress approved setting up the State Administration for Market Regulation (SAMR), which governs China’s National Intellectual Property Administration (CNIPA). With the new government restructuring in place, it is time to reacquaint yourself with China’s IP system. 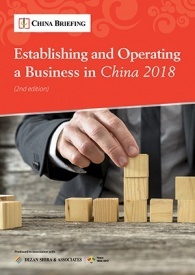 In this article, we provide an overview of IPR in China, including its legal and regulatory structures and registration procedures. A patent grants a legal right to patentees for their creations, including inventions, utility models, and designs. According to Article 22 of the Patent Law, inventions and utility models shall be novel, creative and of practical use to having a patent been granted. Similarly, Article 23 states that the administration will grant a patent to designs which are distinctive and in no conflict with existing ones. China grants patents on a first-to-file basis. According to Article 9, patent rights will be granted to the first applicant if two or more applicants apply for a patent for the same invention separately. Once the patent is granted for an invention-creation, no unit or individual can exploit the patent without permission of the patentee. China has no patent opposition procedure. Any entity can challenge the validity of a granted patent by filing an invalidation application with sufficient evidence to the Patent Review Board. File the patent application, submit relevant documents, and pay the filing costs (900 yuan). CNIPA accepts the application and conducts a preliminary examination (within 18 months from the filing date). CNIPA conducts substantive examination (on the applicant’s request). CNIPA registers the designated patent and grants a standard patent for the invention. File the patent application, submit relevant documents, and pay the filing costs (500 yuan). CNIPA accepts the application and conducts a preliminary examination. CNIPA register the designated patent and grant a standard patent for the utility models or designs. A patent application can be submitted in electronic or written form. A patent application takes 3 to 5 years on average for invention patents, while the duration for utility model and design patents is 1 year. Foreign businesses without a regular residence or business site in China are obligated to appoint a patent agency to act as its agent. A patent granted for inventions is valid for 20 years while the term for utility models or designs is 10 years. Registered trademarks approved and registered by the SAIC gives the registrants an exclusive right to use the trademarks. Similar to the registration procedure for patent rights, the ownership of a trademark is determined on a first-to-file basis. According to Article 18 of the Trademark Law, foreign businesses have to appoint Chinese trademark agencies for their trademark registration. There are “trademark squatters” in China, referring to people who actively register trademarks to blackmail foreign businesses. 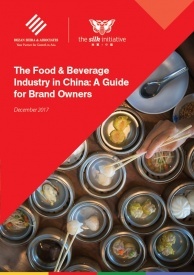 Foreign companies, including Apple, Tesla, and New Balance, have filed trademark disputes with Chinese domestic companies accordingly. Check whether the trademark is already registered. Submit an application form and other relevant documents to SAIC. SAIC conducts preliminary and substantive examination (within nine months of the filing date. SAIC publishes and registers the trademark. The procedure generally takes about 14 to 18 months. Within three months from the date of the publication, any person can file an opposition against the trademark. A trademark in China is valid for 10 years and renewal of registration must be filed within 12 months before the date of expiration. The country’s copyright law states that China protects the authors’ copyright in their literary, artistic, and scientific works. According to Article 2 of the Copyright Law, China adopts a policy of voluntary copyright registration so that the copyright owner is not obligated to register his/her copyright. China’s practice is compatible with the Berne Convention, which automatically protects copyright. However, by getting an issued copyright certificate, the owner can easily prove their right during a copyright dispute and benefit from a tax deduction (for instance, in the case of developing computer software). CNAC is responsible for nationwide copyright registration, including in provinces, autonomous regions, and municipalities. For computer software, the CPCC is authorized to handle the registration of copyrighted works. Apply with a sample of the work. CNAC/CPCC accepts the application and conducts an examination. China’s new restructuring plan has transferred CNAC and CPCC to the Central Propaganda Department’s control, which underlines a power transition from the State Council to the Communist Party. 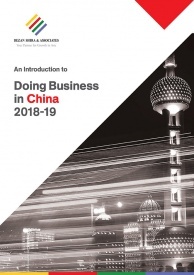 Have a legal query on doing business in China? The Central Propaganda Department, which practices a stricter ideological control under Xi’s administration, has expanded its authorities to the press, media and publication. It is expected that China will have more control over content during the copyright registration. According to Article 9 of the Anti-Unfair Competition Law, the law defines a trade secret as any technical information or business operation information, which is unknown to the public, has commercial values, and about which the owner has taken secret-keeping measures. Amendment to the law also protects information that has ‘negative value’, including those gained from failed research data or business models. The law specifies that if a third party knows an act of infringement of a company’s trade secrets, this third party will be considered as an alleged party to the infringement of the trade secret as well. Foreign businesses may claim damages and seek compensation due to infringement of trade secrets through the courts. However, the procedure poses a significant evidential burden to the plaintiff, who is responsible for providing evidence that the defendant knows, obtains, and has disclosed the trade secret. Also, the quality of judges handling IPR disputes in China is questionable, as their salaries are paid by the Chinese government. Experts worry that the state-controlled legal system can harm foreign business interests when they collide with China’s national interests. Micron Technology, a US chipmaker, was defeated in a patent infringement lawsuit filed by Taiwan’s United Microelectronics Corp in China this year.